Canada's Guru Studio has emerged as a global force in children’s entertainment, creating some of the world’s best known and loved character-driven animated shows. 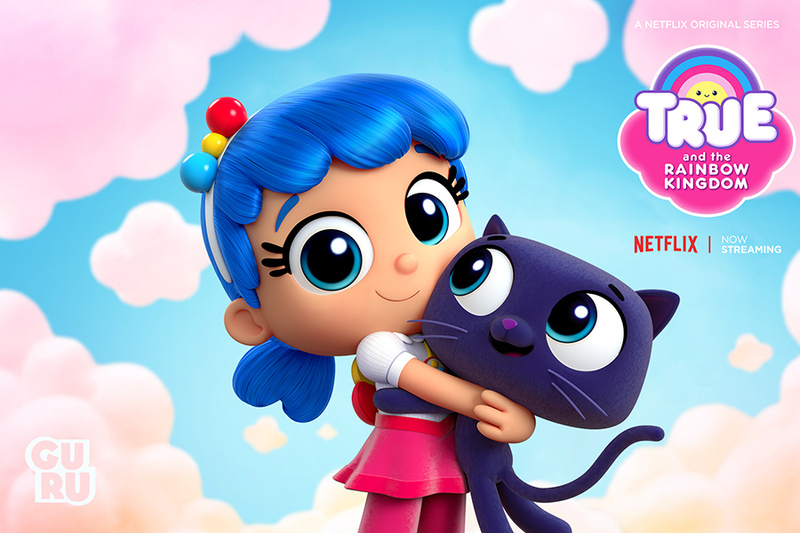 Their brand new Netflix Original series, True and the Rainbow Kingdom, follows the adventures of 8-year old True and her cat Bartleby as they help to solve the problems of the Rainbow Kingdom. 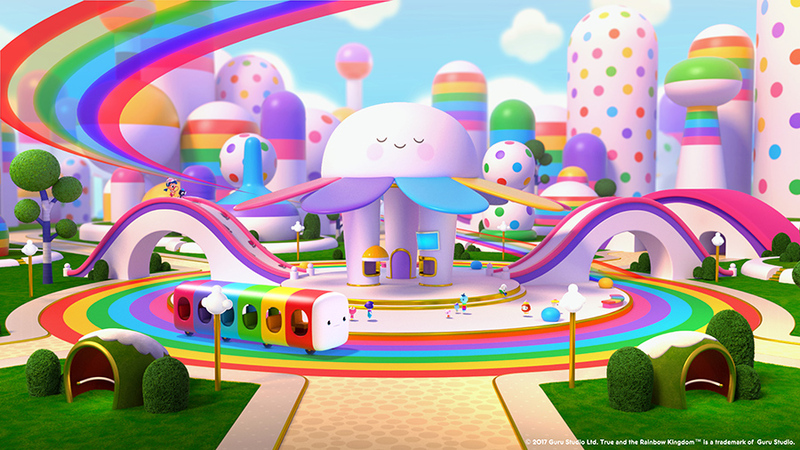 With Redshift, ‘True and the Rainbow Kingdom’ would become one of the first TV series to be exclusively rendered on a GPU. 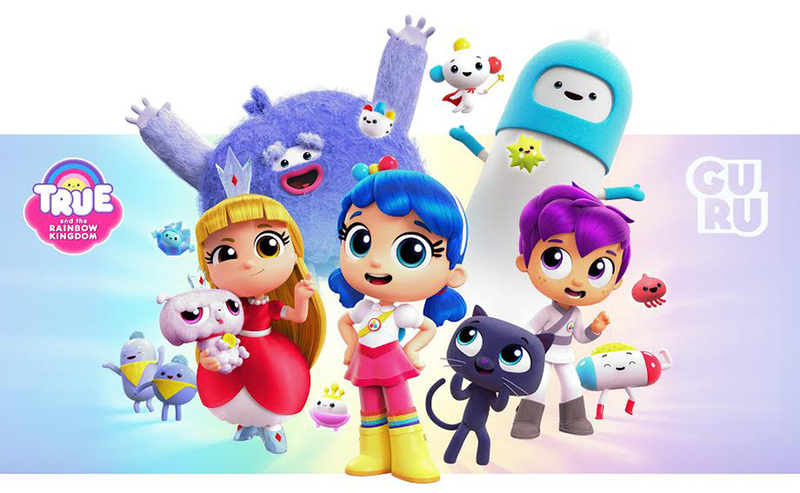 Canada’s Guru Studio has emerged as a global force in children’s entertainment, creating some of the world’s best known and loved character-driven animated shows, such as PAW Patrol, Ever After High and their own IP, Justin Time. 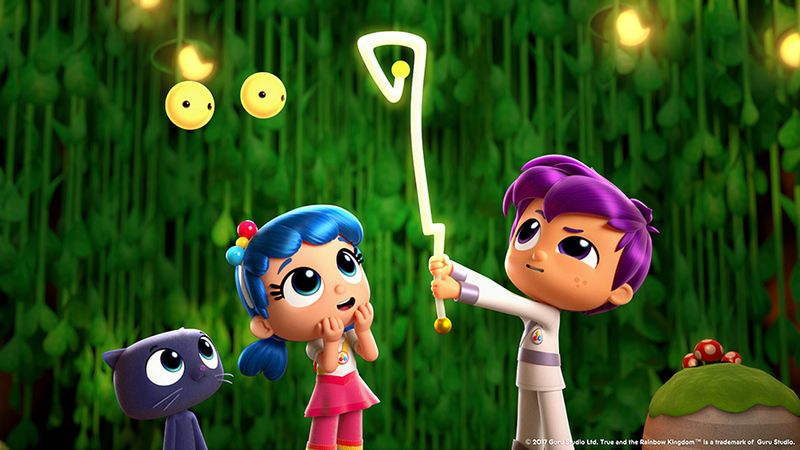 Their brand new Netflix Original series, True and the Rainbow Kingdom, follows the adventures of 8-year old True and her cat Bartleby as they help to solve the problems of the Rainbow Kingdom. “When we set out to produce our next flagship show, we had lofty goals for how it should look and feel,” says Guru Studio’s Creative Director of Production, Yurie Rocha. “When you browse through the Netflix library, you’ll notice that everything shares the same shelf, regardless of budget or brand. True needed to stand out in a crowd.” In order to achieve this goal the team at Guru began looking outside of traditional rendering solutions and started looking at an array of GPU rendering products. Once everyone was on board, the team at Guru set out to achieve a new goal. 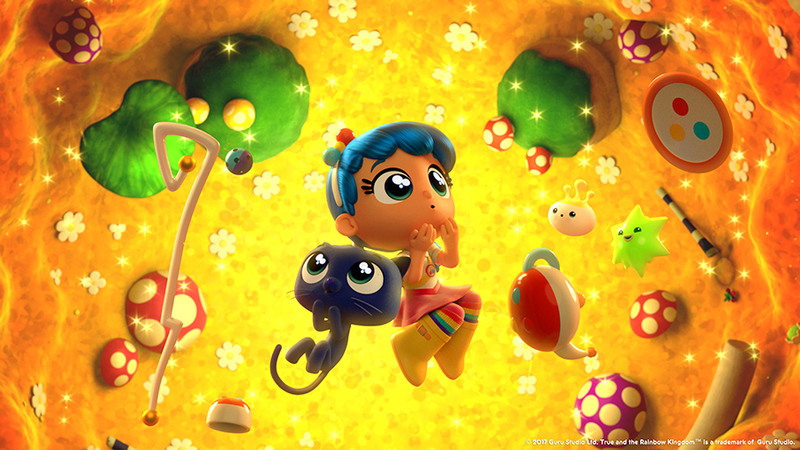 With Redshift, ‘True and the Rainbow Kingdom’ would become one of the first TV series to be exclusively rendered on a GPU. Along with the creative opportunities offered by Redshift, the studio’s infrastructure benefited as well. When Guru Studio had initially planned ‘True and the Rainbow Kingdom’, they determined using its existing CPU-render pipeline would require cloud rendering or building a farm off site. “Guru Studio is responsible for delivering fifty-thousand final frames a week across multiple shows. Having the internet go down is a terrifying proposition for any producer or client,” Yurie explains. Aside from being nearly half the cost of building a traditional render farm, going the GPU option with Redshift allowed Guru to keep all the rendering data local and easily accessible. With the ability to be cost effective, Redshift was already a big winner for the ‘True and the Rainbow Kingdom’ team. But what made Redshift truly exciting for the team at Guru was the new creative freedom he could give his artists, along with new features that made Redshift unique. The out of core architecture of Redshift was another feature that the production team was enthusiastic about, allowing Guru to render huge scenes without the stress that comes with managing GPU memory. “For anyone who’s been in the business of making games, you know that an enormous amount of resources is put into packing as much data as possible into small memory footprints. That was one of our first reservations when we were considering Redshift for TV Series work, but we quickly discovered that Redshift easily handled our large data sets. This allowed us to focus on the magic of storytelling instead of spending time on the rigorous optimization phases that you’d expect in a game workflow”, Yurie reveals. Guru Studio has embraced Redshift as its preferred method of production for 3D animated shows. “We like to imagine a future where our show is progressively rendering in real time, regardless of where a shot lives in the production. By switching to Redshift we’ve begun that process, and we feel that our infrastructure is aligning with where the future is heading,” says Yurie. 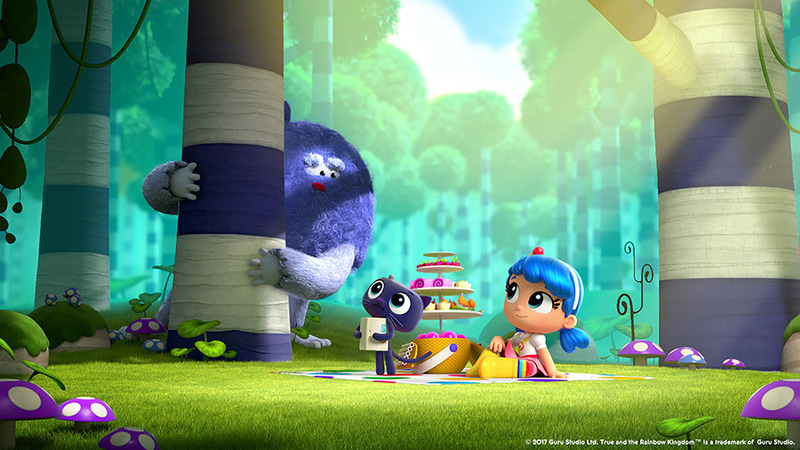 True and the Rainbow Kingdom, produced by Guru Studio, in collaboration with i am OTHER, FriendsWithYou, and Home Plate Entertainment, can be seen exclusively on Netflix.